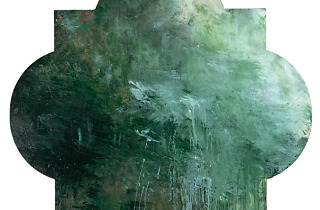 An immense retrospective of work by the complex American painter Cy Twombly. Cy Twombly paints big, deconstructed flowers dripping with fiery colours like huge bouquets of blood and sun on white canvas. Be drawn into the reds, yellows and myriad crumpled petals. In some, like ‘Blooming’, the intention is clearly floral. In others, these colourful balls represent time, love, murder and – according to the artist – a contemporary retelling of ancient tales. 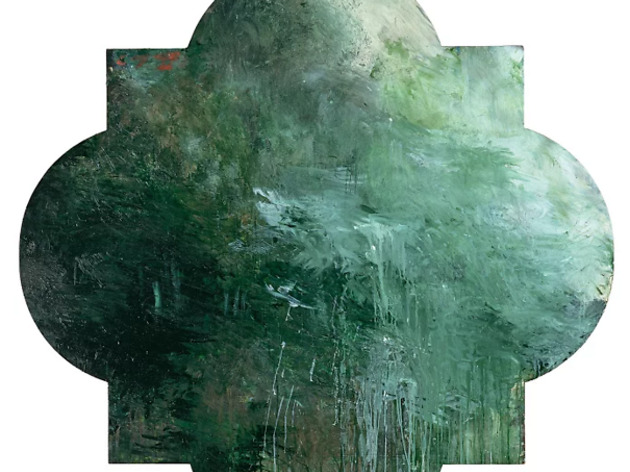 The US-born Cy Twombly (1928-2011) lived in Rome from 1960 and the Pompidou Centre’s retrospective sets out to delineate a before and after of this date. ‘Before’ the painter’s works are dominated by whites and scattered with black graffiti. Difficult to identify with, these seem almost like the scribbles of a distracted schoolboy. ‘After’ is an explosion of flamboyant colours; following the example of Matisse and Derain, Twombly rediscovered his palette under the Mediterranean sun. He also began painting epic pictorial series, including the violent ‘Nine discourses on Commodus,’ the funereal ‘Coronation of Sesostris’ and ‘Achilles mourning the death of Patrocle.’ Neither the titles, nor the abstraction offers any clues as to what it all means, but we are invited to contemplate, to find sense in it all. The ‘Bassano’ series depicts a furious natural world of deep greens, flowing emeralds and clouds of grey, delivering a hypnotising energy. Their placement in a room with an expansive view over Paris offers a startling contrast between a structured city and this deluge of enraged colours. Rumour has it, Twombly painted in the dark and the retrospective is underpinned by this nervousness, illustrating a painter in full experimentation mode. Cy Twombly painted with his whole soul and such energy leads to images that are both electrifying and strangely soothing.